Football has been under a cloud in recent weeks with all the revelations about corrupt practices, bungs and backhanders. The lacklustre performances by the England team hasn’t helped matters either, but amidst all the doom and gloom there have been some shining examples about why we all still love the game so much. AFC Wimbledon reached a significant milestone last weekend when they climbed above Milton Keynes Dons in the football ladder for the first time in their short 14-year history. The Wombles defeated Oxford United 3-1 to move up to 10th in League One, two places above MK Dons, who lost 1-0 at home to Port Vale. AFC Wimbledon were formed by Wimbledon FC supporters in 2002 after the original club were disappointingly allowed by the FA to relocate to Buckinghamshire, and were later renamed MK Dons. The new team started life in the Combined Counties League and they have steadfastly worked their way through the divisions to their current position in the third tier of English football. For many football fans the way that Milton Keynes stole Wimbledon’s place in the football league still rancours. The concept of relocating football clubs away from their natural homes, effectively a franchise system, is an anathema to true fans of the game. It is heartwarming that AFC Wimbledon fans have built the club from the ground up and have deservedly progressed through the league’s pyramid system. The club is planning to build a new stadium in the London Borough of Merton where the original Wimbledon FC played, and if they finish above MK Dons at the end of the season football fans everywhere should be celebrating. Latics’ next opponents Burton Albion are another great success story. The club was only formed in 1950 joining the Birmingham and District League and in the last seven seasons they have enjoyed a meteoric rise from the Conference to the Championship. Like Dave Whelan at Wigan, their Chairman Ben Robinson has been the driving force behind Burton’s rapid progress. 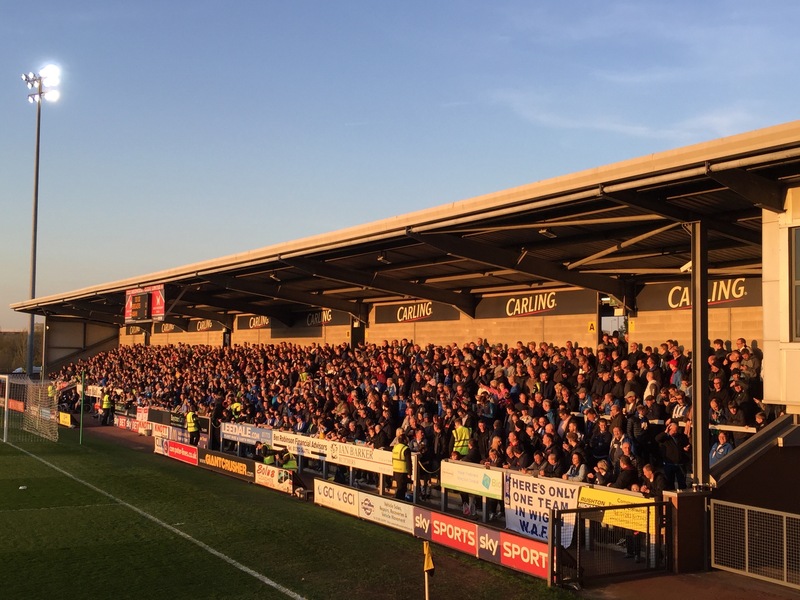 Robinson took over in 1997, and moved them to the Pirelli Stadium in 2005. The club has done remarkably well considering that their stadium only has a capacity of fewer than 7,000 and their average attendances were only 4,000 last season. One of Burton’s biggest strengths has been recovering from losing managers to bigger clubs. Nigel Clough left for Derby County in 2009, Gary Rowett joined Birmingham City and Jimmy Floyd Hasselbaink left for Queens Park Rangers. Nigel Clough returned in 2015 and took them into the Championship behind Latics last season. The Brewers have made a good start to the season and currently sit in 15th place in the table with 13 points, but despite the good start the priority is still to stay in the division. Latics’ fans will be hoping for three points tomorrow but I’m sure that most will appreciate the Brewers success story and after the game will want them to enjoy a good season in the Championship. This article was first published in the 12th Man column for the Wigan Evening Post on Friday 14th October 2016. This entry was posted in AFC Wimbledon, Burton Albion, Championship, League One, Wigan Athletic and tagged AFC Wimbledon, Burton Albion, Championship, League One, Wigan Athletic. Bookmark the permalink.